I may be a bit late in finding my way to Dickens but I am hooked. There are three things I realized in succession as I read the book, the three things which made me fall deeply in love with The Old Curiosity Shop. First: Dickens was a great judge of character, I thoroughly enjoyed the occasional snippets about human nature. Not to mention, the characters in the story and their behaviours are strikingly real. Second: Wow, he could really write. The rich language and the beautifully apt descriptions made reading the book the most treasured experience. Third: He was certainly a masterful storyteller. Not a single moment of the story was particularly spectacular and yet none of it was dull. I do know it was bleak, but it just wasn't Thomas Hardy bleak. Okay. I don't quite know why or how, but I found the book very engrossing. In the majority of cases, conscience is an elastic and very flexible article, which will bear a deal of stretching and adapt itself to a great variety of circumstances. Some people by prudent management and leaving it off piece by piece like a flannel waistcoat in warm weather, even contrive, in time, to dispense with it altogether; but there be others who can assume the garment and throw it off at pleasure; and this, being the greatest and most convenient improvement, is the one most in vogue. Why is it that we can better bear to part in spirit than in body, and while we have the fortitude to act farewell have not the nerve to say it? On the eve of long voyages or an absence of many years, friends who are tenderly attached will separate with the usual look, the usual pressure of the hand, planning one final interview for the morrow, while each well knows that it is but a poor feint to save the pain of uttering that one word, and that the meeting will never be. Should possibilities be worse to bear than certainties? We do not shun our dying friends; the not having distinctly taken leave of one among them, whom we left in all kindness and affection, will often embitter the whole remainder of a life. Now that five-and-fifty years were gone, she spoke of the dead man as if he had been her son or grandson, with a kind of pity for his youth, growing out of her own old age, and an exalting of his strength and manly beauty as compared with her own weakness and decay; and yet she spoke about him as her husband too, and thinking of herself in connexion with him, as she used to be and not as she was now, talked of their meeting in another world, as if he were dead but yesterday, and she, separated from her former self, were thinking of the happiness of that comely girl who seemed to have died with him. It had been gradually getting overcast, and now the sky was dark and lowering, save where the glory of the departing sun piled up masses of gold and burning fire, decaying embers of which gleamed here and there through the black veil, and shone redly down upon the earth. The wind began to moan in hollow murmurs, as the sun went down carrying glad day elsewhere; and a train of dull clouds coming up against it, menaced thunder and lightning. Large drops of rain soon began to fall, and, as the storm clouds came sailing onward, others supplied the void they left behind and spread over all the sky. Then was heard the low rumbling of distant thunder, then the lightning quivered, and then the darkness of an hour seemed to have gathered in an instant. I can't wait to start reading A Tale of Two Cities. After completely relishing this, I can only imagine what that would be like! 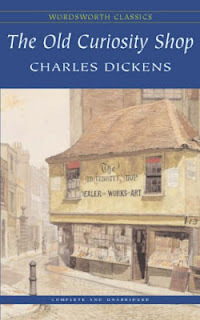 Which is your favourite Dickens novel? I'm glad to see you've enjoyed the book so much. I've watched the movie yesterday, it was ok but "The Life and Adventures of Nicholas Nickleby" was better. Great Expectations is the only Dickens novel I have read so far. Maybe I can read another one by the end of the month. I somehow can't imagine this as a movie! Is it too depressing? People keep recommending all these books, but they're so long! I'll probably only finish reading one other Dickens this month too. I've heard so much about Great Expectations! And Bleak House. But I found A Tale of Two Cities at the library, so that's what I'll go with. It was a bit too theatrical for my taste, somehow I couldn't manage to get into it. Depressing, yes, but there's also hope so I guess it's sort of even. I haven't read the book so I can't say how it compares. How wonderful that you liked your Dickens choice as well. I've just finished Great Expectations, my first Dickens novel and my reactions are very simila to yours. Yes, he can really write and his characters are wonderful. What I liked the most is the atmospheres he captured, changing seasons, houses, moods. It will not be my last Dickens, that's for sure. Dickens does an amazing job of seeing into the human soul, doesn't he? 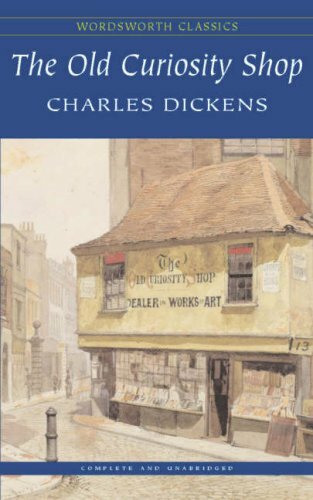 I read this book for Dickens in December, too...I didn't like it as much as some other Dickens novels, but I still think it was a good book.